Lucia and Antonio had a magical, love-filled wedding filled with emotion and fun that was amazing to photograph! They first met in their fall semester, senior year of college. By spring semester, they had grown closer; Antonio would show up in the mornings with flowers and Starbucks. They became inseparable and Antonio proposed on a family trip to Kiawah Island, SC in May 2017, with his family there. On their wedding day Lucia remembers waking up thinking "I get to marry my best friend and the love of my life today". As she started walking down the isle, she remembers seeing Antonio's face and starting to cry and after the ceremony, she felt like she was in a dream because of how lucky she was to be with her husband and their friends. Antonio picked out their first-dance song, All of Me, by John Legend and Lucia remembers looking into his eyes and feeling more love than she ever had. 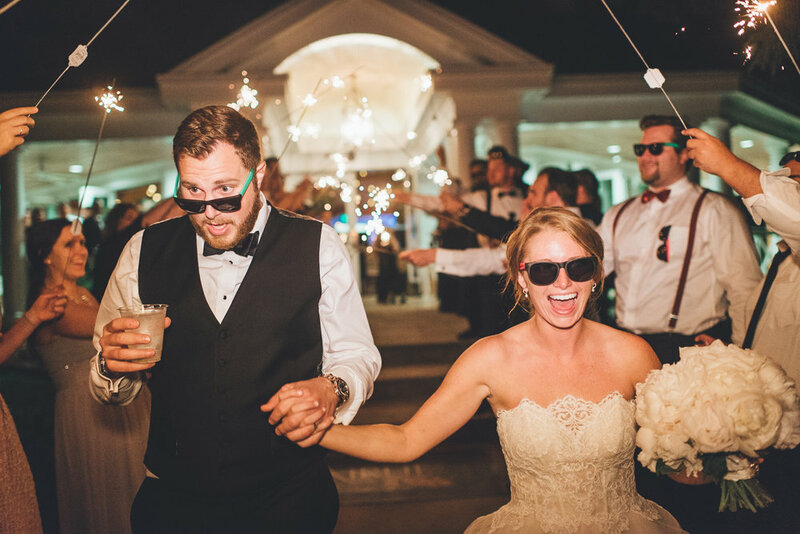 When they walked into the Pavilion at Airlie in Warrenton Virginia, they remember how beautiful everything looked and how perfect everything was. We invite you to see some of the highlights from their wedding day and to check out all of the vendors that made this wedding amazing! Congratulations Lucia and Antonio!